Another day, another 5-star commitment for Duke basketball. On Thursday, the Blue Devils landed one of the top players in the 2019 class: 5-star center Vernon Carey Jr. The son of former Miami football standout Vernon Carey, the 6-foot-10 high school senior was a priority for Duke. In the end, the Blue Devils beat out ACC rivals UNC and Miami for Carey; however, the final decision came down to Duke and Michigan State. Carey took a series of official visits in October and November; he was in Durham the weekend of Oct. 19. Assistant coach Jon Scheyer is credited as the program’s lead recruiter. According to 247 Sports, Carey — who plays his prep basketball in Fort Lauderdale — is the No. 4 overall prospect in the 2019 recruiting class. He joins what is shaping up to be another super-talented recruiting class for Duke. 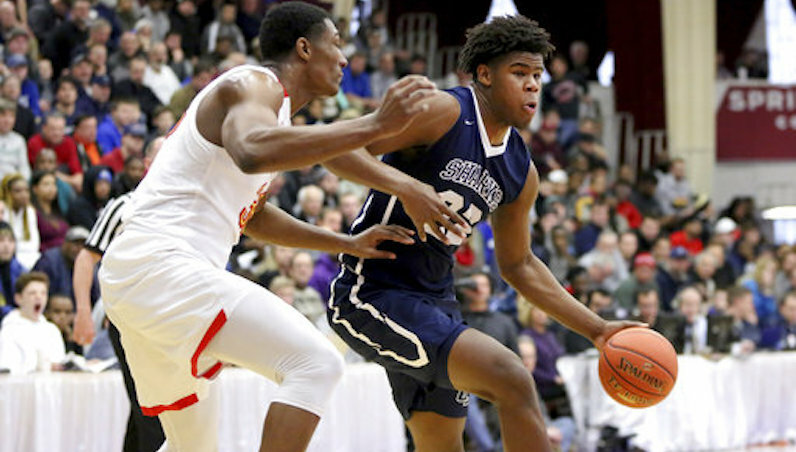 The younger Vernon Carey becomes Duke’s third 2019 commitment — along with 5-star wing Wendell Moore and 4-star guard Boogie Ellis. This class covers some serious ground, too: North Carolina, California and, now, Florida.